Is your broadband broad enough? A new survey of the world's leading industrialised nations show's that the UK's internet connections are among the slowest around. The OECD study of net connections in 30 countries pegs the UK as the 21st fastest, behind France, Spain and Portugal. It also assesses broadband penetration, showing some improvement there, although 13th place out of the 30 still puts the UK firmly in mid-table. 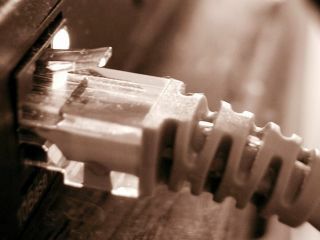 Government plans to improve both speed and penetration currently rely on the recently announced £6 a year tax on domestic phone lines that aims to raise £170 million annually to pay for faster broadband connections.